The government is today proposing to consult on scrapping Section 21, so-called ‘no fault’, repossessions in the private rented sector in favour of improving the court system to ensure landlords can more speedily repossess properties through them in legitimate cases. But the Residential Landlords Association (RLA) is warning of potential “serious dangers” to the supply of rental housing for vulnerable tenants as a result of planned reforms to rental housing. According to government data, private tenants live in their rental properties for more than four years on average and that in 90% of cases tenancies are ended by the tenant rather than the landlord. 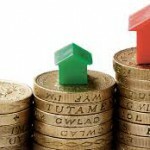 But given the widening supply-demand imbalance in the PRS, the RLA is warning that the government risks exacerbating the problem if it does not ensure that landlords have complete confidence that they can repossess properties swiftly for legitimate reasons, including tenant rent arrears, tenants committing anti-social behaviour and landlords wanting to sell their properties. With government data showing that it takes over five months from a private landlord applying to the courts for a property to be repossessed to it actually happening, the RLA believes that it is important that a reformed and improved court system is able to bed in and the grounds to repossess properties are properly improved before making changes to Section 21. Smith added: “With the demand for private rented homes continuing to increase, we need the majority of good landlords to have confidence to invest in new homes. This means ensuring they can swiftly repossess properties for legitimate reasons such as rent arrears, tenant anti-social behaviour or wanting to sell them. This needs to happen before any moves are made to end Section 21. Research by Manchester Metropolitan University for the RLA has found that in a large majority of cases where tenants are asked to leave their properties under Section 21 notices there is a clear reason. The study found that half of the notices are used where tenants have rent arrears, are committing anti-social behaviour or damage to the property. Other common reasons include the landlord needing to take back possession of a property for sale or refurbishment. The report’s authors argue that this “raises questions” about whether the use of Section 21 notices can properly be described as ‘no fault’ evictions, as some have called them. David Cox, chief executive, ARLA Propertymark, commented: “Today’s news could be devastating for the private rented sector and landlords operating within it. The effects of the tenant fees ban have not yet been felt, and now the government is introducing more new legislation which could deter landlords from operating in the market. “Although in the majority of cases there is no need for Section 21 to be used, there are times when a landlord has no choice but to take action and evict tenants from a property.